And the winner is... The Artist! 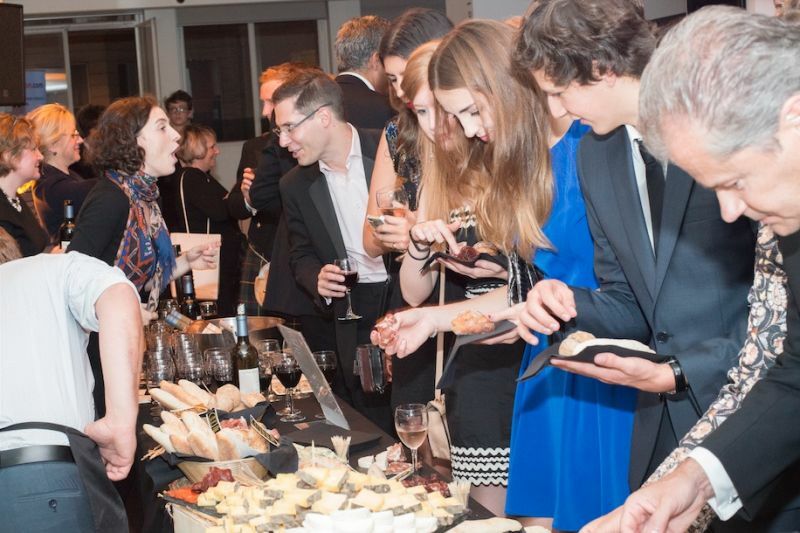 It is the rendezvous that you do not want to miss: the gala evening organized by Franceinlondon for London’s Favourite French film, this year celebrating its tenth birthday. Every year, the festival makes an award to the three Londoners’ favourite on 17 September during a sumptuous reception at the French Institute, under the patronage of Mrs Sylvie Bermann, the new French ambassador to the UK. 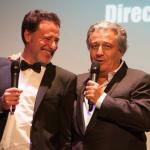 On this occasion, Christian Clavier and Philippe de Chauveron came to present their latest film Serial (bad) weddings. What a delight for some two hundred and fifty guests in attendance. No less than thirty-three movies were submitted for consideration the online vote for 2014: Belle and Sebastian, Love Is in The Air, Paris-Manhattan, Yves Saint Laurent… By a just few votes, Blue is the warmest colour won the award (see the top ten below), a film distributed by Lionsgate. This love story has already resulted in the award of the 2013 Palme d’or to its director Abdellatif Kechiche, and – quite exceptionally – to its two actresses, Léa Seydoux and Adèle Exarchopoulos. So, another award for this remarkable piece of cinema. Young and Beautiful directed by François Ozon came second, followed by Populaire, by Régis Roinsard. For this tenth year of London’s Favourite French film, Franceinlondon had also organized a vote for the last decade’s winning films. Amelie, Untouchable, Bienvenue chez les Ch’tis (see the complete list below)… so many masterpieces that have entertained film fans in London. The Artist,with its irresistible Jean Dujardin as George Valentin, won first place in the end. The black and white silent movie was voted best French film in 2012; now it is the overall winner of the decade. The screening of Serial (bad) weddings was followed by a Q&A session with Christian Clavier, the star of the film, and its director Philippe de Chauveron. The guest adjourned to music and a wonderful buffet supper provided by the evenings sponsors; Perrier Jouet champain, La cave à fromage platters of cheese, Chêne Bleu wines, Aux Pains de Papy assortment of irresistible desserts… a real feast! It was chic and relaxed, it was classy, it was great. Book early for next year! Venus spécialement de Winchester pour cette soirée super sympa. On adore Christian Clavier à la maison. On a fait de grands jaloux. A renouveler l'an prochain! Merci encore.